Most people have a DVD player for watching movies on their TV. Standard DVDs are 480 lines of resolution and will look good on your HDTV. If you have an up-converting DVD player, even better. The Blu-ray Disc movies need a Blu-ray High Definition player but produce much higher resolution video. 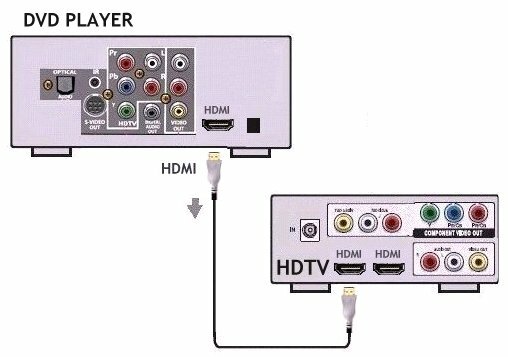 Today, to connect your DVD player to your HDTV, you will want to use a component video cable setup or HDMI cable configuration. 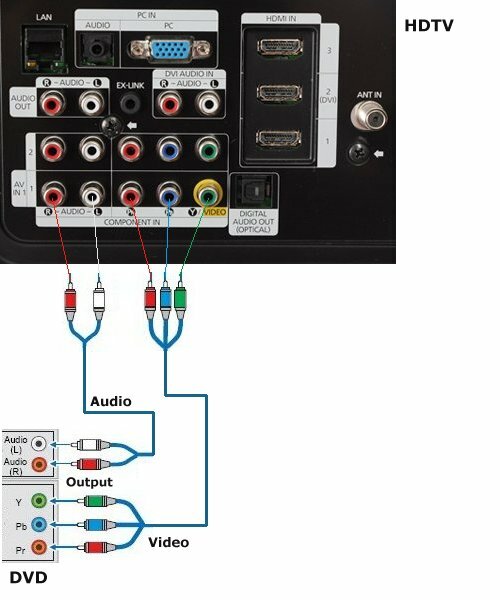 Component video is High Definition capable and has 3 video cables, red, green and blue and for the sound, you also need two audio cables, red and white. Some DVD players have HDMI outputs. If yours does, then you can use the all digital HDMI cable hookup. HDMI is the only connection you need.